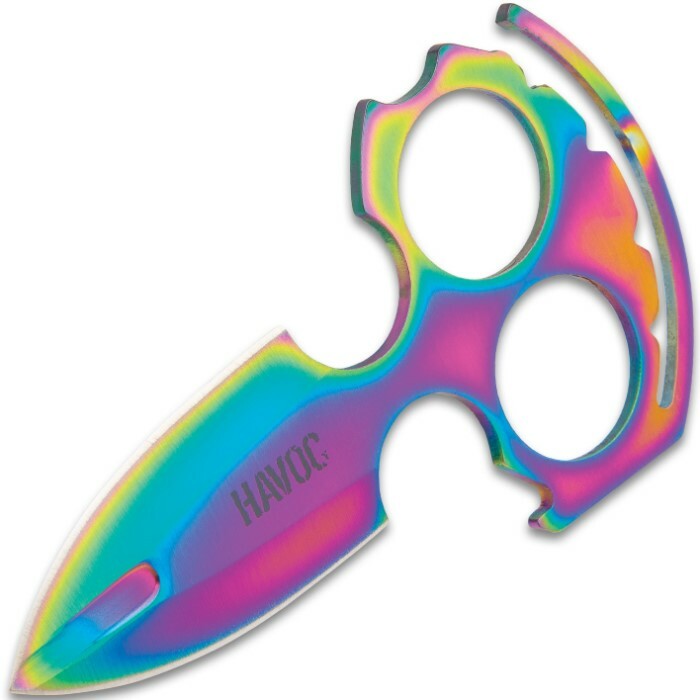 The Havoc Rainbow Push Dagger is a fighter you can put up against any assailant and count on to back you up when it gets real! 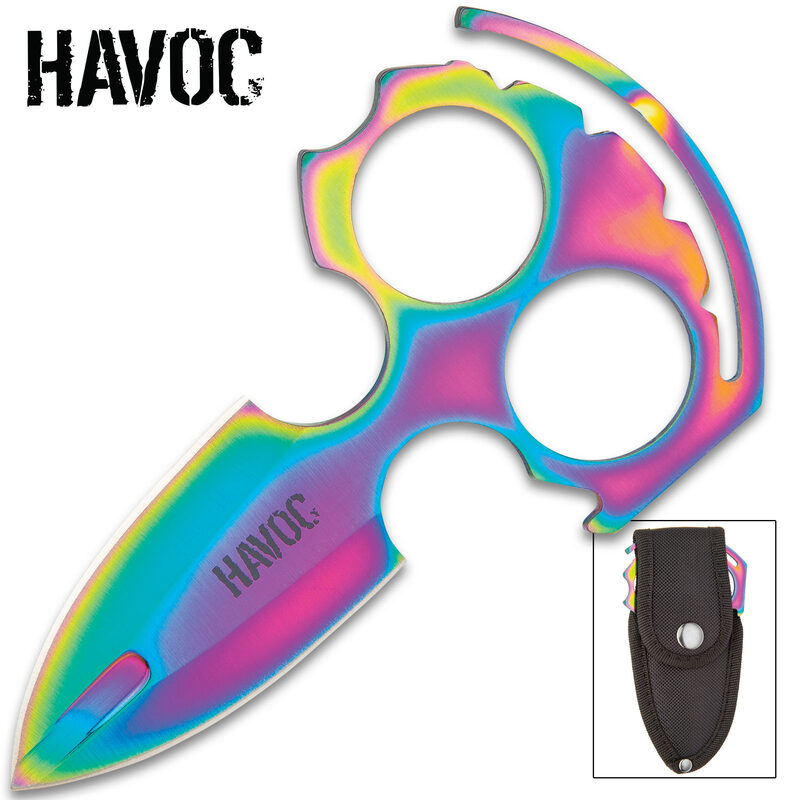 The dagger has a solid, one-piece 3Cr13 stainless steel construction with a sharp, 2 1/2” double-edged blade and penetrating point. The handle has two oversized holes for a secure finger grip, assuring that you will have ultimate control and pushing power when using the dagger. The 5” overall length rainbow colored push dagger can be stored and carried in a sturdy, nylon belt sheath with a snap closure.